I really enjoy The Newsroom. I wanted to get that out of the way since every website I go on looking for reviews seems to hate it. The third and final season premiere aired last night, titled Boston, and it focused on the Boston Marathon Bombings of 2013. The show continues to revolve around ACN getting it’s credibility back after the Genoa scandal, and the aftermath of Election Night 2012. Will is still the centerpiece of the show, and he spends most of the beginning of the episode discussing his pending marriage to Mac. Maggie is no longer mutilating her hair, but has instead focused her energy on testing the limits of her body at the gym. The rest of the cast has pretty much stayed the same: Sloan and Don are now an item, and it’s clear both are still career driven. The same can be said for Jim, who was the least featured player in this episode. Charlie is still crazy and Neal is still messing around with hackers and encryption codes, except this time he might have gone too far. While the episode began with ACN’s coverage of the Marathon bombings, by the end of the episode, the main issue concerned Reese and his half siblings, who, according to Sloan and her brand new stock machine, were planning on selling ACN once they became stock holders on their 25th birthdays. It’s clear this will be the running storyline throughout the rest of this season, with major news events being sprinkled in. Another storyline introduced in the premier included Neal, and his rendezvous with a flash drive taped to the inside of a restaurant toilet. The Newsroom works best when Will is able to take on a mentor role, instead of being the sole focus. With Reese and Neal’s dilemma’s, it looks like that’s the role the writers have given Will this season. The marathon bombing coverage felt similar to the way they handled the Gabriella Gifford shooting; if they weren’t going to be the first to report the incident, the least they could do was be the first network to deliver some facts. There are plenty of storylines and plenty of characters to examine over this last season, and I hope they focus on Sloan and Neal’s characters arc’s as the show comes to a close. 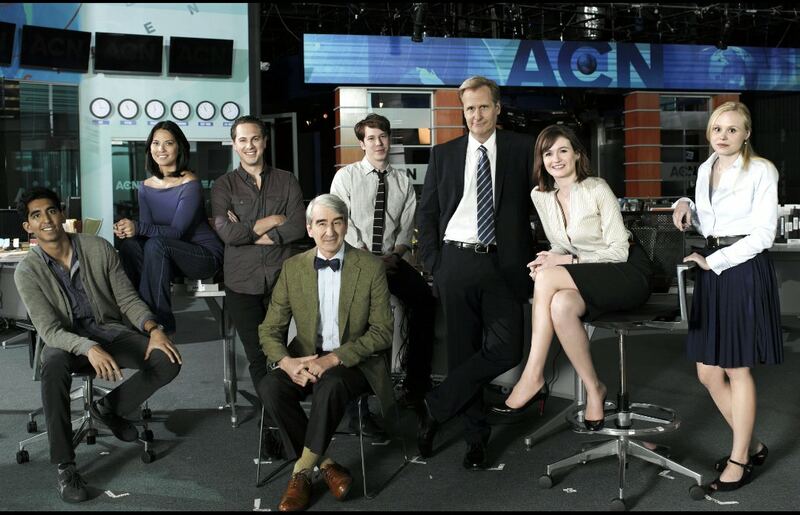 Posted on November 10, 2014, in Average Blog Posts and tagged hbo, the newsroom boston, the newsroom season 3. Bookmark the permalink. Leave a comment.